I have an M.S. in organic chemistry and have been tutoring chemistry full time for the past three years. I'm an expert at breaking chemistry down into fundamental principles so that students can spend less time memorizing, and more time understanding. I've accumulated various tips and tricks over the years that make tricky subjects like stoichiometry, stereochemistry, and spectroscopy more manageable. I have spent many years studying both content and pedagogy in chemistry, especially organic chem. More importantly, I am familiar with the scope and common curriculum of sophomore organic chemistry classes at every level. I have worked with students using every major textbook, and I will make every effort to optimize our time together to meet the needs of your specific class and learning style. Rate details: For my cancellation policy, I ask for 24 or more hours notice for cancellation or I would ask a fee ranging from half the time cost, to full cost for no-show. General chemistry is by definition a very broad subject. It often challenges students because it combines learning lots of new language with the frequent application of mathematical problem solving. The common language of chemistry is math, but it's also important to understand in words what each equation represents. I can show you both how to "plug and chug" to get the answer as well as how to understand what all those equations mean. 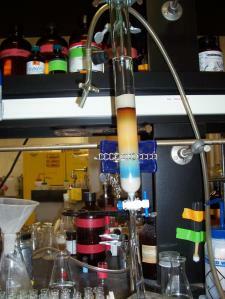 I can help with all levels of general chemistry including college, high school and AP chemistry. I have an M.S. in organic chemistry, and I specialize in helping people build the strong foundation they will need to succeed in this class. It's never too late though; I've gone back to square one and helped people improve their grades even half way through their second semester. I have spent many years studying both content and pedagogy in organic chemistry. More importantly, I am familiar with the curriculum of sophomore organic chemistry classes at every level. I have worked with students using every major textbook, and I will make every effort to optimize our time together to meet the needs of your specific class and learning style. I went to Matt looking to review and re-learn general and organic chemistry for my medical school MCAT exam. Matt did a spectacular job, giving me clear understanding of material I had not seen in years. He was very adaptable to using several different books, and was extremely easy to work with. I highly recommend Matt for both organic and general chemistry. I went to Matt looking for someone who could help me with my Organic Chemistry class. I had never taken a class in chemistry before and was completely lost. He has helped me so much! He literally knows everything about the subject it's amazing. I honestly never thought I could pass this class but I am actually doing well. Matt never makes you feel bad for asking "stupid" questions. He always seems to know the right stuff to focus on for test preparation. I'm so thankful I found him! I absolutely recommend him. 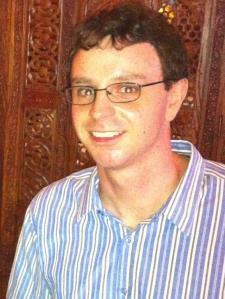 Matt is an excellent tutor with great knowledge of organic chemistry. He presents the material clearly and logically and makes even difficult concepts very understandable. Highly recommended. You won't be disappointed. He was so helpful and available almost immediately short notice. I feel so much better about the subject now. Matthew P really helped me when I was in a tough spot the night before my Organic Chemistry 2 test! He is very patient and knowledgeable which are two things I especially value in an Organic Chemistry tutor! Speaking of which I think that his hourly rate is worth it for the services he provides! Matthew helped me review and prepare for my test on a last minute call! He is of great help! Thank you! I will definitely use his service again! Below are some topics that he covered: Electron configuration. Trends in monatomic and polyatomic ions. Basic idea is you memorize the "ate" form of a polyatomic, and then some of these have different variations such as -ite and "per" and "hypo". Other variation includes "bi" where a hydrogen is added. Montatomic anions always end in "ide". Certain polyatomic ions end in "ide" also. Cyanide and hydroxide are the common examples of that. About two different kinds of ionic compounds, where the charge on the cation can either be constant or variable. If the charge is variable, then the charge of the cation is given in roman numerals in parentheses. Then we talked about naming covalent (molecular compounds) which use prefixes like "mono, di, tri, tetra, penta, and hexa." Matthew's a great tutor and helped out a lot. I recommend for others to work with him. He's easy to get a hold of by phone. Whenever I had a question, he was eager to help me out, even outside of the session. He's an easygoing guy and knows the material very well. Very patient. Explains the concept very well. Great tutor!! The best at working with your time to accommodate the student. He impacts the knowledge indeed. Thanks. Extremely helpful and knowledgable. Highly recommend for orgo and orgo2. He doesn't just skim topics. He actually helps you learn concepts and ways to apply it to your exams. Great Organic Chemistry II Tutor! In the past I have had several chemistry tutors but none have helped me as much as Matthew did. He knew all the material on the spot and taught the way a teacher would. He broke down the problems into a manageable way therefore understanding the concept was enjoyable and not strictly memorization. Instead of talking and writing the duration of the meeting, Matthew would have me do the problems and guide me through them! This allowed me to learn and gain the confidence to do them myself, much like any test would be. This prepared me a huge deal and the turnaround of my test grades reflected that! I would recommend him to students trying to master general and organic chemistry.